Last October brought news that Samsung would be adding Valve’s Steam Link functionality into its high-end televisions, meaning those who wanted to stream their Big Picture PC games straight to another TV wouldn’t need the tiny box. Now, a beta version of the app has finally arrived. 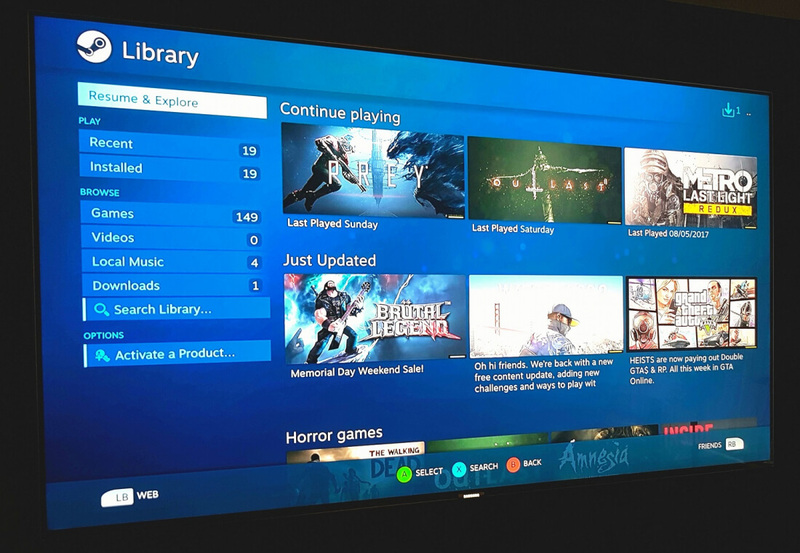 While it was originally assumed Samsung would be integrating the Steam Link hardware inside its new TVs, the use of an app means those who already own its 2016/2017 4K televisions can use the functions. While it’s not always perfect, the Steam Link is one of the best ways to stream PC games to a big screen living room TV using a wired or wireless network. It may be limited to 1080p and 60fps, but for just $50 it’s a better alternative to one of Valve’s own Steam Machines. PC Gamer’s Wes Fenlon tried out the app and found it to work essentially as well as the Steam Link hardware. He did discover some issues with the wireless Steam Controller, but found plugging in a wired Xbox 360 controller worked fine. And it’s worth remembering this is a beta app, so it should improve and add better wireless controller support with future iterations. If you own one of Samsung’s 4k TVs and want to give the app a try, just download it from Samsung’s app store (it’s not available to everyone yet) make sure your PC and television are on the same network. And remember that an ethernet connection will offer better performance, naturally.